The telecoms giant said it took its responsibilities "very seriously". "Unlike other companies, [we] have many customers on special tariffs for socially excluded or vulnerable customers," BT said. "Recently, we have frozen the cost of line rental for all of our customers who take a BT phone line." Ofcom has the power to set prices for firms that have significant market power. The regulator's chief executive, Sharon White, told the BBC: "We believe there are about two million elderly and vulnerable [BT customers] - strikingly about half are in their late seventies - and for this group of people their landline is their lifeline. "It's a group of people who have seen the cost of their landline bills rise by about a third in recent years, while BT's costs have fallen by about a quarter." She said most people on bundled packages - which include landline, broadband and/or pay TV - can shop around for better deals. BT is not alone in raising its prices. 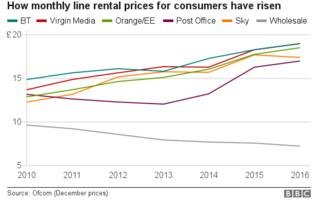 Major industry players increased line rental prices by between 25% and 49% in real terms between December 2009 and December 2016, while wholesale prices fell by about 26%, Ofcom said. 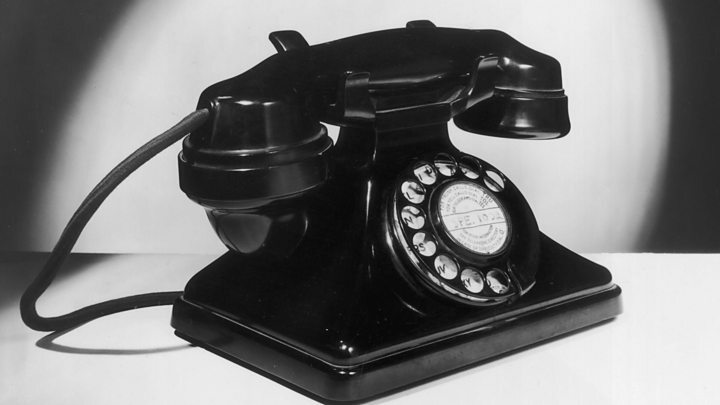 The regulator launched its review of landline phone prices in December. Richard Neudegg, head of regulation at price comparison website Uswitch, said that the group of consumers affected are "the most reliant on voice-only services and least likely to leave BT for a better deal". "The demographic tend not to be online, and are the least likely to engage with the market and switch their services, and it is right Ofcom is looking closely at what can be done," he said. Andrew Ferguson of broadband comparison website Think Broadband said that while the price reduction would be welcome for landline-only customers, "a lot hinges on whether those who buy bundles will just end up subsidising those who buy standalone products". Audio Is your landline bill about to go down?